Kathy and Buddy Oliver met in the fall of 1987 at Lebanon Valley College where Kathy was majoring in social work and Buddy was majoring in Music. Their son, Bo, was born in 1996 followed by their daughter, Rachel, in 1998. 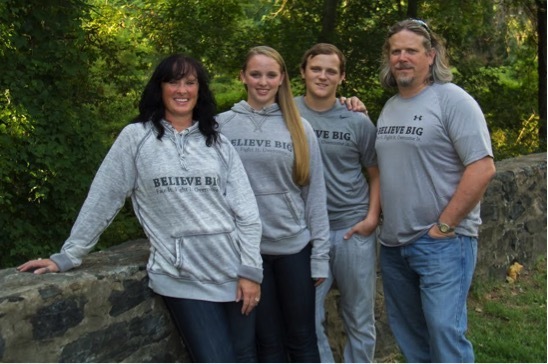 After Bo’s cancer diagnosis in March of 2012, the Olivers began their relationship with The Ulman Cancer Fund; first as recipients of support and then as ardent supporters themselves, committed to improving the lives of young adults faced with cancer. Tell us a little bit about Bo’s cancer journey and how Ulman fit into it. Our son Bo was diagnosed with Ewing’s Sarcoma, a rare pediatric bone cancer, in March of 2012, while a sophomore in high school. Bo’s initial course of treatment included 7 months of intense chemotherapy, radiation and then a stem cell transplant, to which his body’s response was very positive. In March, 2014, the cancer returned once again. This time, a donor lymphocyte infusion (DLI) was recommended. In May of 2015, we were told by our doctors that they had no further options to help Bo. Regardless, we were able to extend his life through the use of multiple holistic treatments and therapies. On June 1, 2016, Bo lost the toughest battle of his life. He faced the disease with a resilience, strength, and faith that was awe-inspiring. We initially heard about Ulman through our social worker, Allie Gubin. Bo was fortunate to have been a recipient of a scholarship through Ulman. We also received help through Helping Others Fight. How did your own community rally around you while you? We have been so blessed by our community. They have held many fundraisers for us, made us countless number of meals, visited Bo in the hospital and at home, went along on appointments, cut our grass, cleaned our house, offered emotional support, organized and attended prayer vigils, and always loved on our family. Buddy, in what ways has music impacted your life and how did you pass down your love of music to Bo? Music has been the single largest influence in my life. I started listening to music as a small child as my father was a stereophile. I started playing music in third grade and never stopped. The summer after my high school graduation, I was privileged to play with a Jazz group at the Montreux Jazz Festival in Switzerland which was a milestone event in my life. Music has even been an expression of my faith as I was a worship leader for almost 20 years. For these reasons, Bo didn’t have a chance. We have a photo of him at probably 2 years old sitting behind a drum set of an old bandmate of mine. Our kids always were encouraged to do their own thing, he just always came back to music. I believe certain talents are part of a person’s DNA, Bo’s DNA was a music staff full of notes. He was truly gifted from birth and by the time he was in high school he was rivaling my 30 years of experience. As a Junior in High School, he auditioned for, and was accepted to, one of the most prestigious music schools in the world, Berklee College of Music in Boston – which has produced almost 300 grammy winners. Besides his love of music, Bo was also known for his quick wit, incredible sense of humor, and his love of ‘Merica. He had a definite sense of right and wrong and loved his family and fiance with all that he had. His faith was an integral part of who he was. He had a presence that filled up a room when he entered it. He had the gift of being able to engage with people of all ages, backgrounds, and ideologies. Kathy, you recently went on UCF’s Key to Keys Experience. What was that like? I went into the Key to Keys ride thinking the biggest challenge was the physical part, the ride. I had no idea how emotional the week would be. I was in a group of people that actually got how cancer impacted my life. I was given the gift of being able to talk about Bo, tell his story and talk about the BoStrong Foundation. I was also given the precious gift of being able to listen to other people’s stories. I have been blessed with being a part of another community of amazing people. What is the BoStrong Foundation? 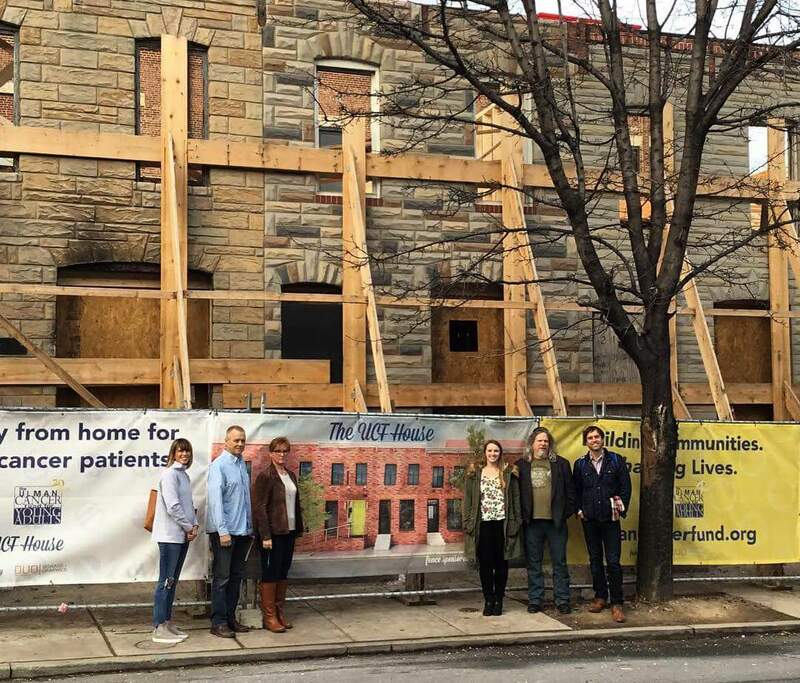 Teaming with Ulman Cancer Fund to provide a music healing space and supporting programming in the Ulman House. Educating young adult cancer patients and their caregivers about holistic treatment options and therapies. Instilling confidence in those on the cancer journey that it’s “OK” to take control of their treatment, ask questions and explore options. Connecting patients with available resources to support them in their cancer battle. At this point, Bo’s passion for music is pretty apparent, but why did you decide to create the music room in the Ulman House? We don’t just believe music will help the ‘experience’ of treatment. We believe it IS treatment and Johns Hopkins along with NIH and many other medical learning institutions agree. 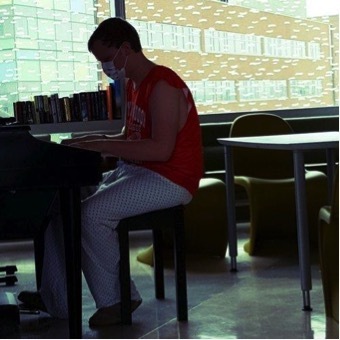 There are countless papers and studies validating the healing power of music, particularly in cancer patients. We believe that the music room can be part of a holistic and complementary treatment regimen. Through trained music therapists that will be available, we can work with young adults on music therapy, drum circles, singing bowls, education on curating playlists geared toward pain management, depression, anxiety, etc. These lists can be used in the ‘sanctuary’ of the dedicated music room as well as while in therapy. How can the Ulman community help with the process of completing the room and/or carrying out your goals for patients staying at the House? The Ulman community can help primarily through exposure and highlighting our foundation. They can join with us on events, lending weight and credibility to our cause. We still need to raise considerable resources to build out and outfit the room. Any connection with and exposure to donors is helpful. After the room is completed, we will rely heavily on the Ulman House staff to promote the room and its programming to the residents. We will need help coordinating and scheduling programming with therapists. We will also be organizing ‘Jam Sessions’ for residents who are musicians by bringing in local ‘on call’ semi-professional volunteer musicians. We will also collect feedback on the state of the room, any suggestions for improvements, maintenance needs, training, etc. If you would like more information about the BoStrong Foundation or would like to contribute to the building out or operating of the music room, please email Kathy and Buddy at: partners@bostrong.us.